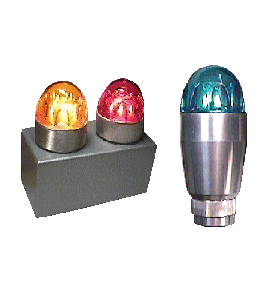 PON Indicator Lights are suitable for use as marker lights for machine operation status, high-tech production line applications and as warning lights on moving vehicles. Applications: For use in automated production systems for Machine/Operator status and Warning lights. Conduit mounting hardware, globe guards, 6 colour options and LED style are a few of type available options.